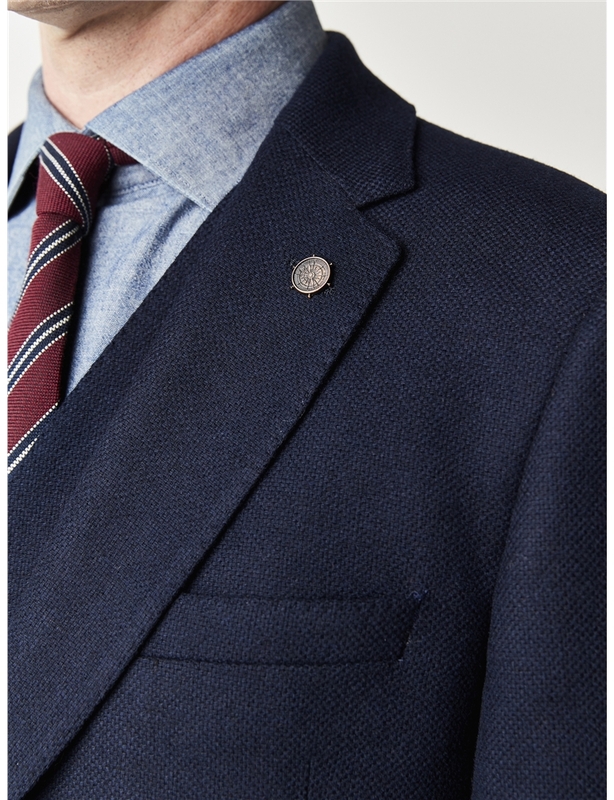 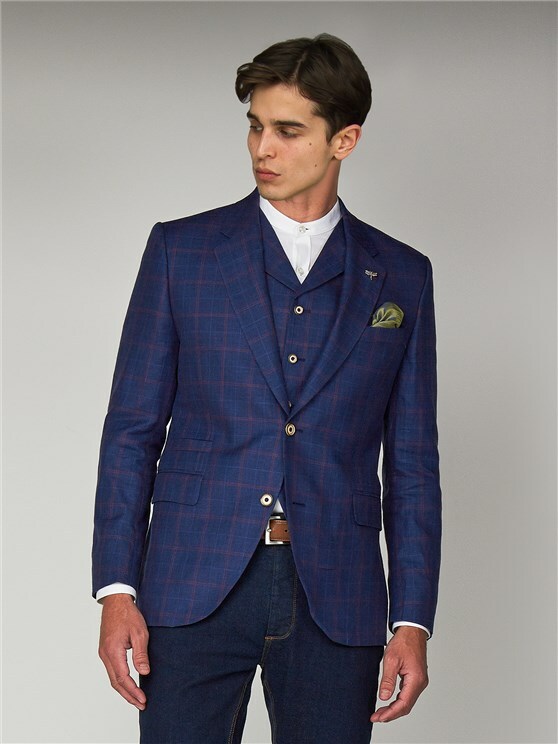 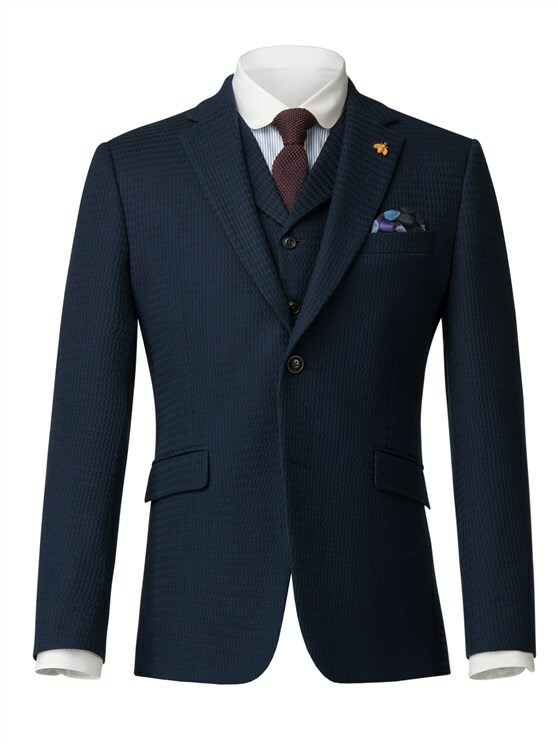 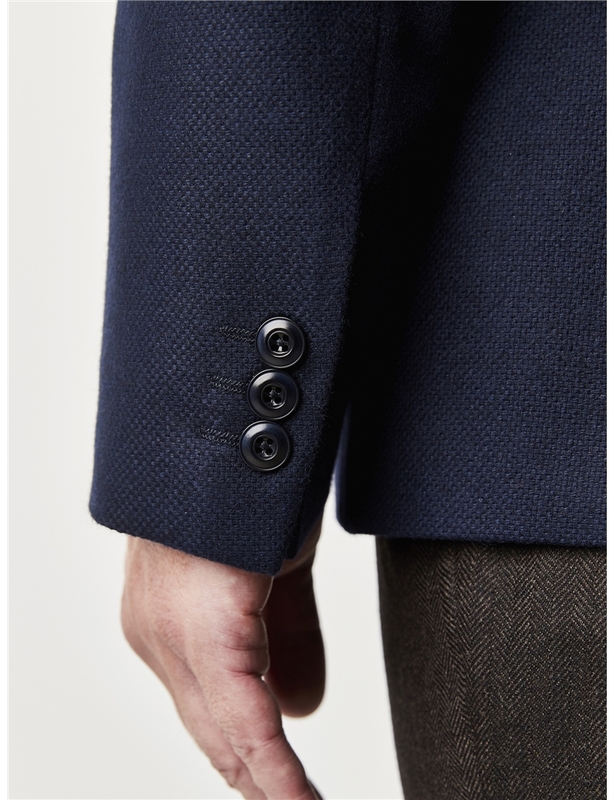 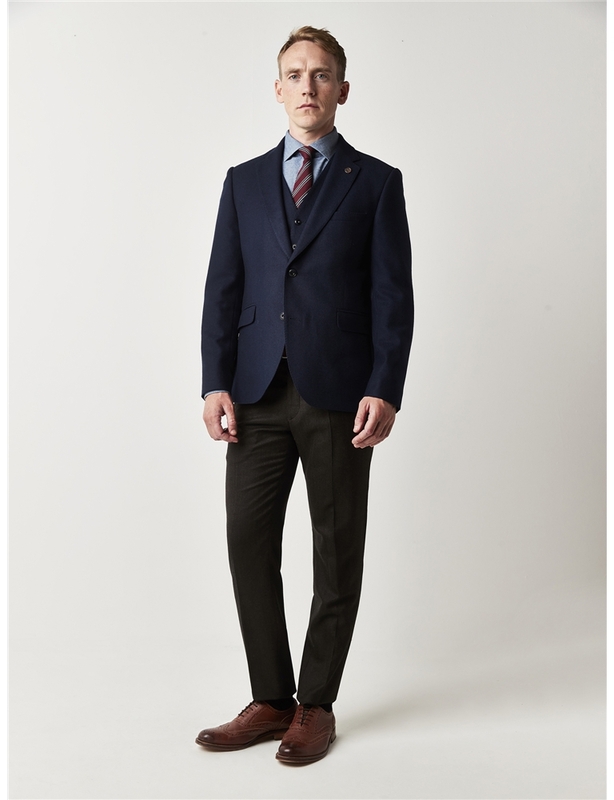 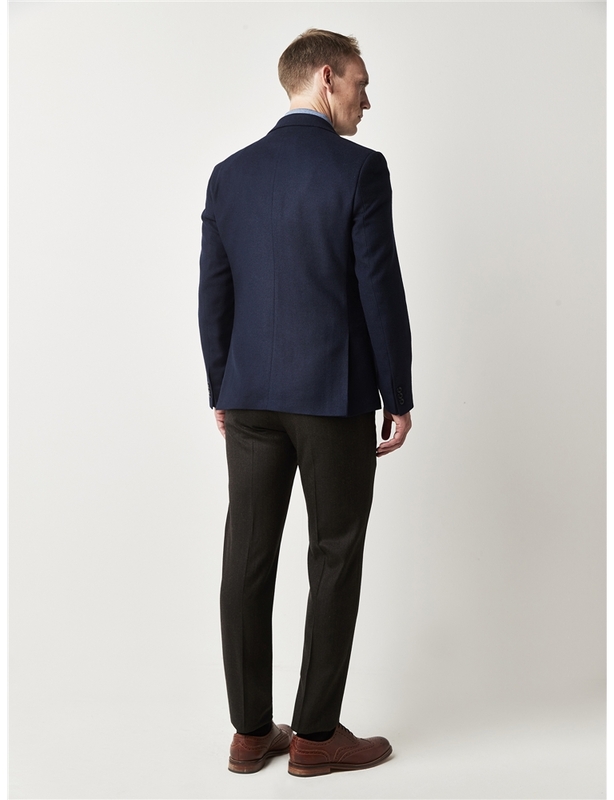 Gibson London Moorgate style jacket, in a navy textured soft handle fabric. 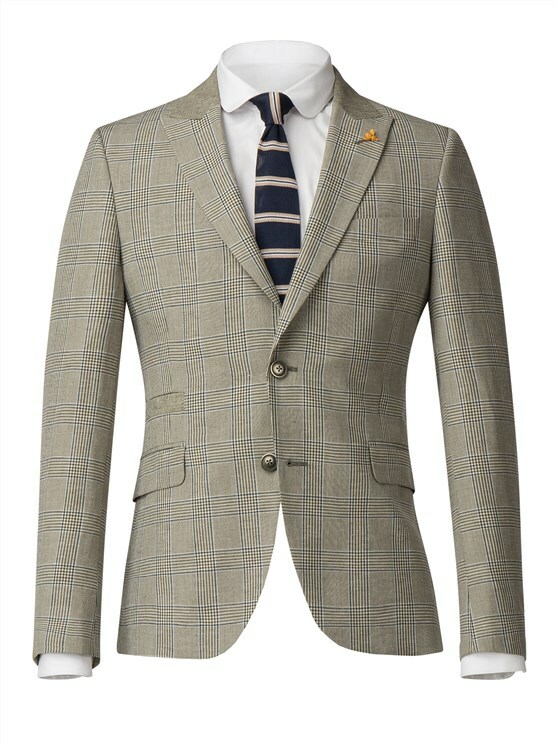 Lined in signature map printed lining this jacket also includes a pull out hankie of the front pocket and removeable compass lapel pin. 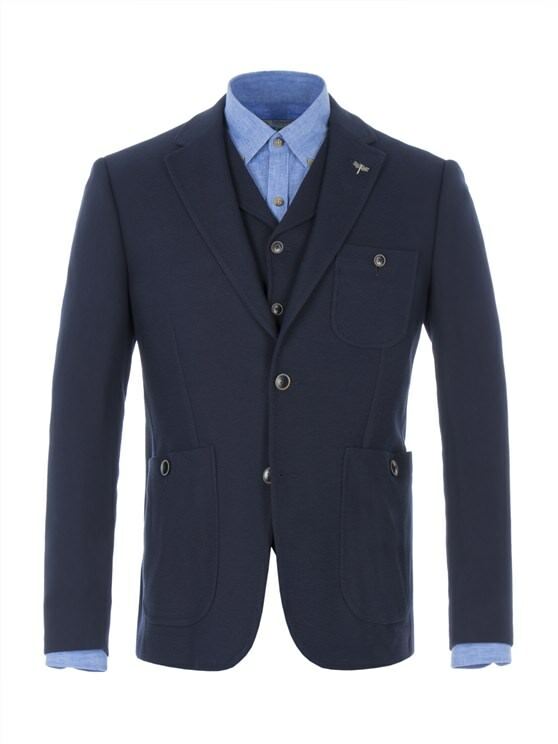 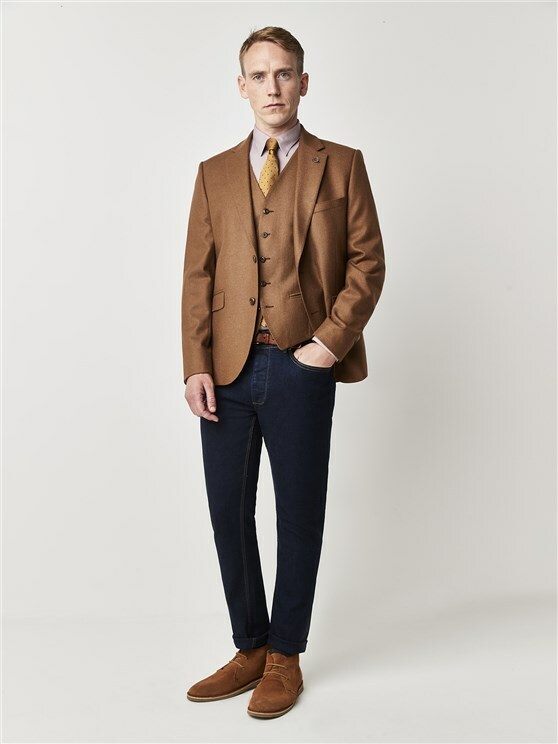 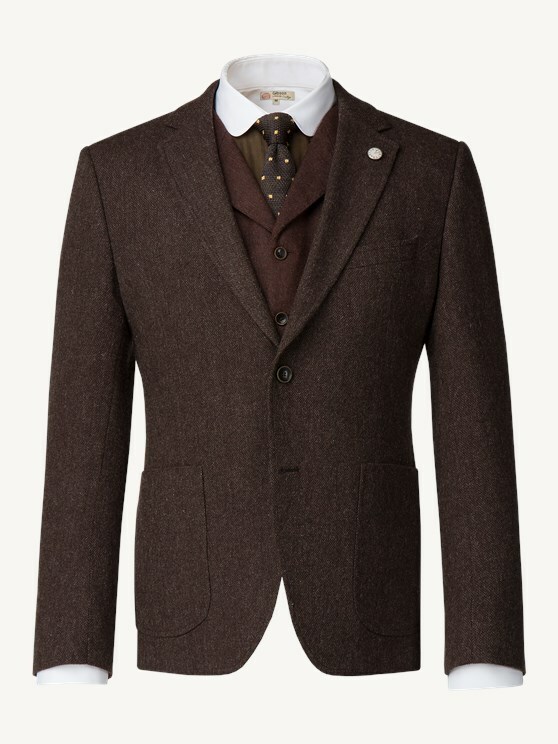 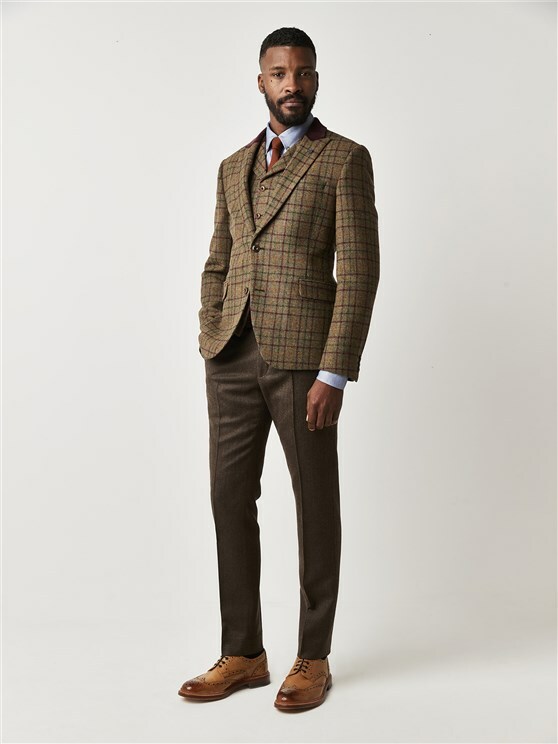 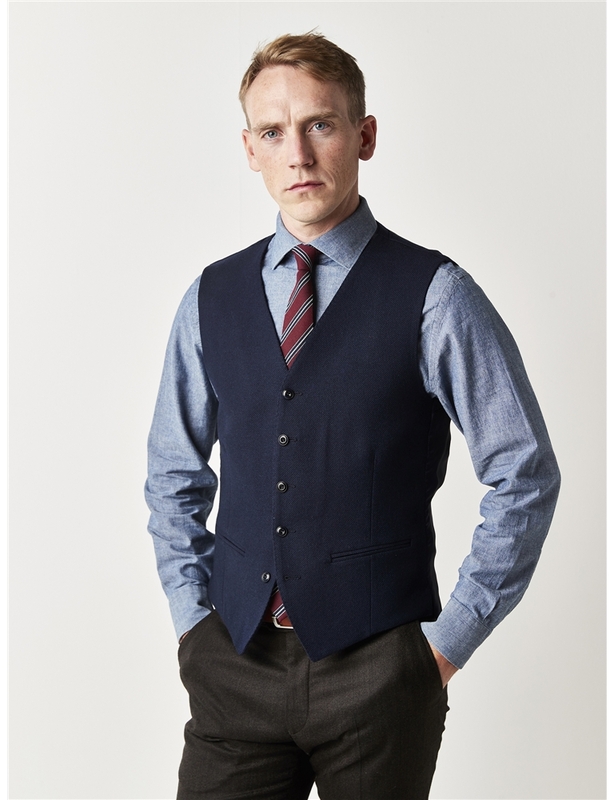 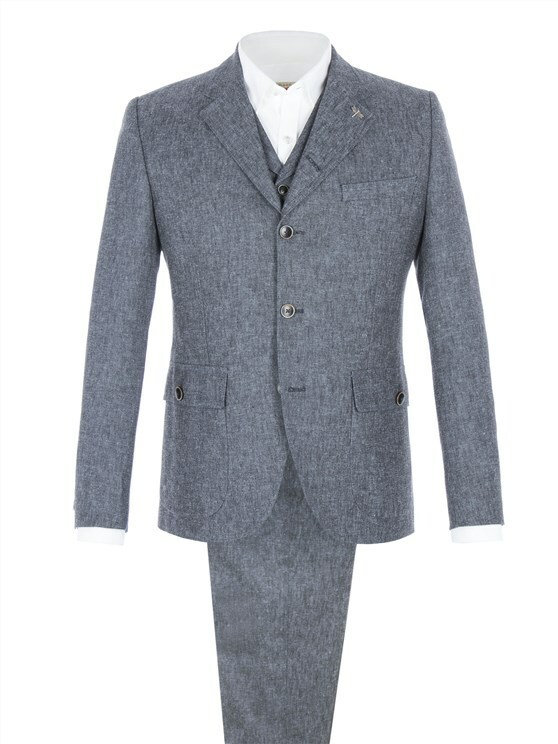 Pair with matching waistcoat for a signatire Gibson London look.